Laurent de Wilde 23rd March (10:00pm): the pianist/composer, born in the US, will be playing originals from his latest release Over the Clouds and standards from Ellington and Monk, about whom Laurent is the author of an acclaimed biography, published by Gallimard in 1997, and translated into several other languages..
Baptiste Trotignon 24th March (9:30pm): Trotignon is another pianist/composer who is equally at home playing anything from Gershwin to Dylan. He has visited London with New York luminaries like Mark Turner (reviewed here) . He has been artistic director of the Edith Piaf and Claude Nougaro tribute evenings at Montreux. 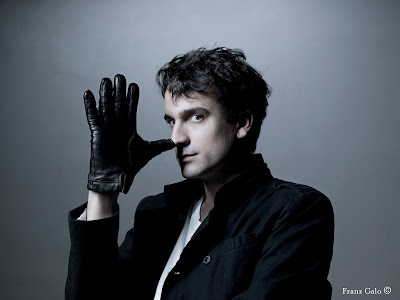 He has written a piano concerto for Nicholas Angelich and the Orchestra of Bordeaux Opera and in November 2011 he won the Grand Prix du Jazz from SACEM.